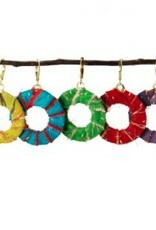 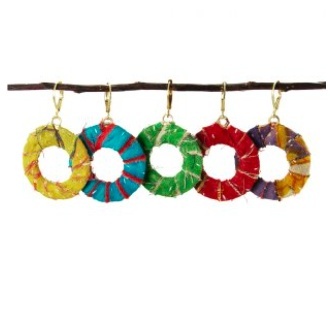 Strips of recycled Kantha textiles are wrapped around lightweight hoops to form completely unique earrings. 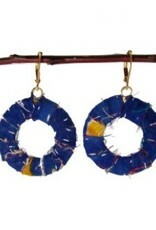 Each pair is one-of-a-kind due to the recycled fabrics. 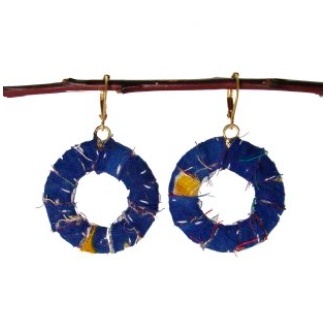 Earrings measure 1.25 inches long, with hinged easel-backs.